Wowee, where has the time gone, October already?! And sunny October, crazy but lovely. I have been pretty busy, absorbing Strictly Come Dancing! And being a social butterfly. I have finally had some news about my tests!! It’s good news and bad news, good news because I have a diagnosis, but bad news because it’s fairly restrictive. 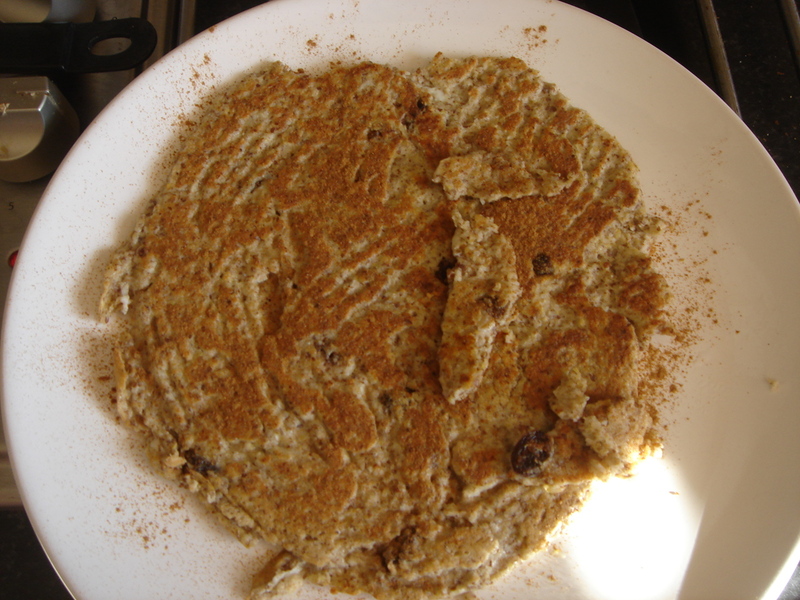 I am lactose intolerant and I have non-Coeliac gluten sensitivity. So no lactose or gluten for me. Thankfully I already have quite a broad outlook and knowledge on food and know what’s out there and how I can implement this into my life. I have to have 2 more tests though relating to the lactose intolerance. A glucose and galactose test. Again means fasting and drinking vile liquids!! 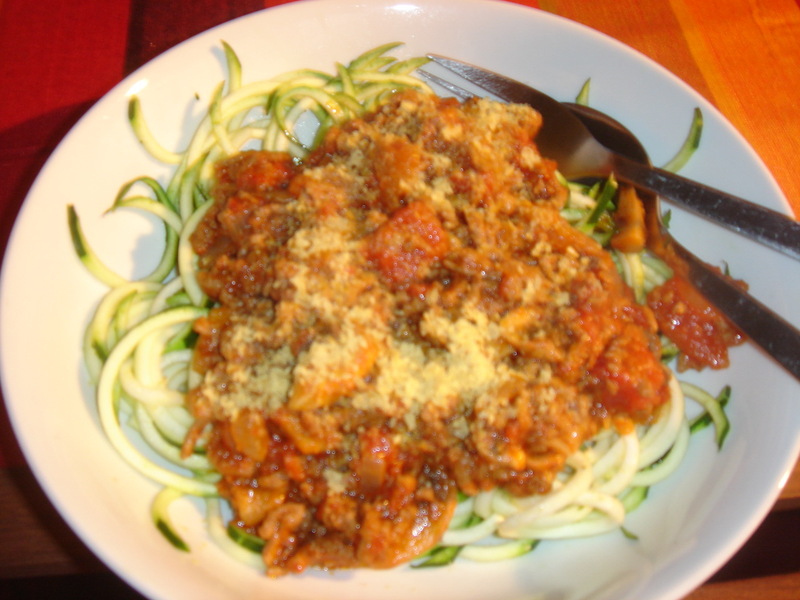 Thursday night we have yummy bolognaise with courgette pasta. 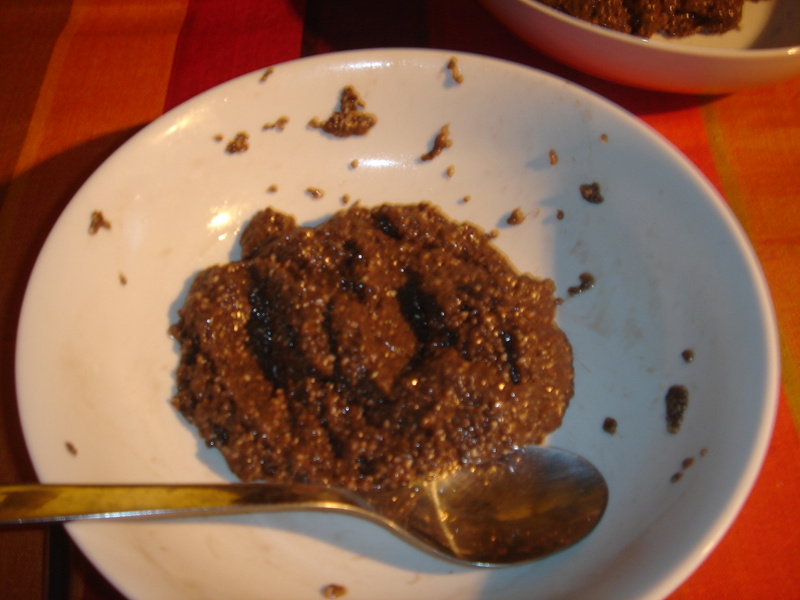 We also made our first attempt at chia seed pudding. It was ok, but I think there was something missing. I made this with chocolate Rice Dream! Had a yummy lunch of salmon and pepper quiche cups with salad on the train to uni. Dinner was this awesome meal cooked by Rob! 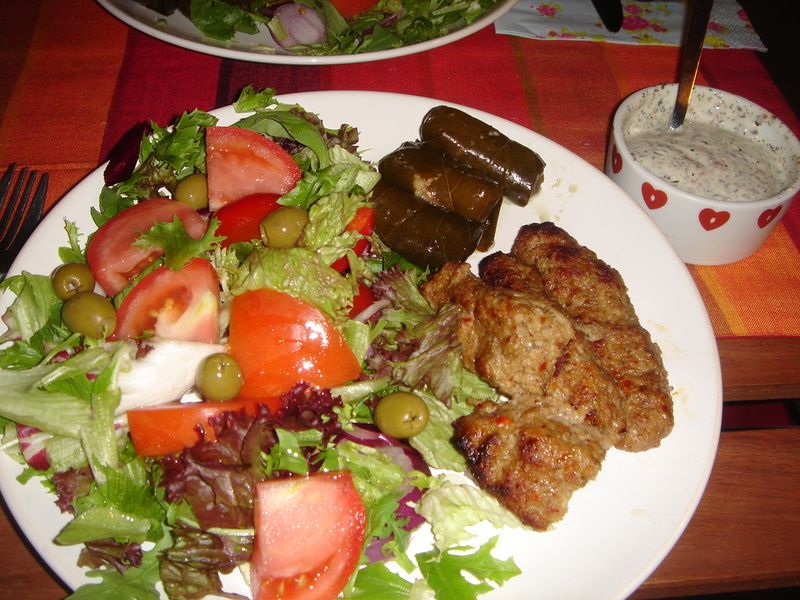 Adana kebabs made with minced lamb with salad, stuffed vine leaves and yoghurt mixed with chilli, garlic and mint. 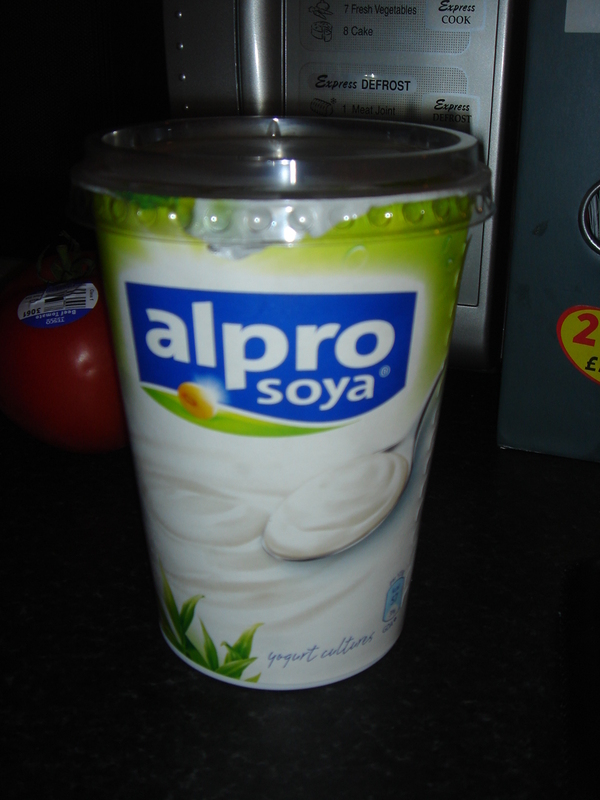 We used the Alpro natural yoghurt, which was fine but I thought tasted a little vanilla-y. With the addition of all the herbs and spices though it was fine! So thumbs up for a natural yoghurt alternative. 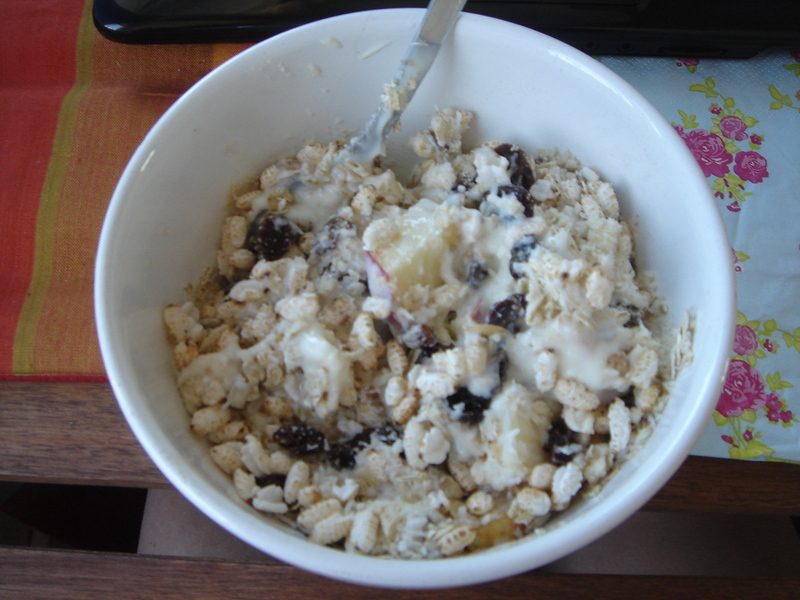 Saturday I made this yummy concoction with an apple, Alpro yoghurt, brown rice puffs, gluten-free muesli and some Nak’d cherry raisins. 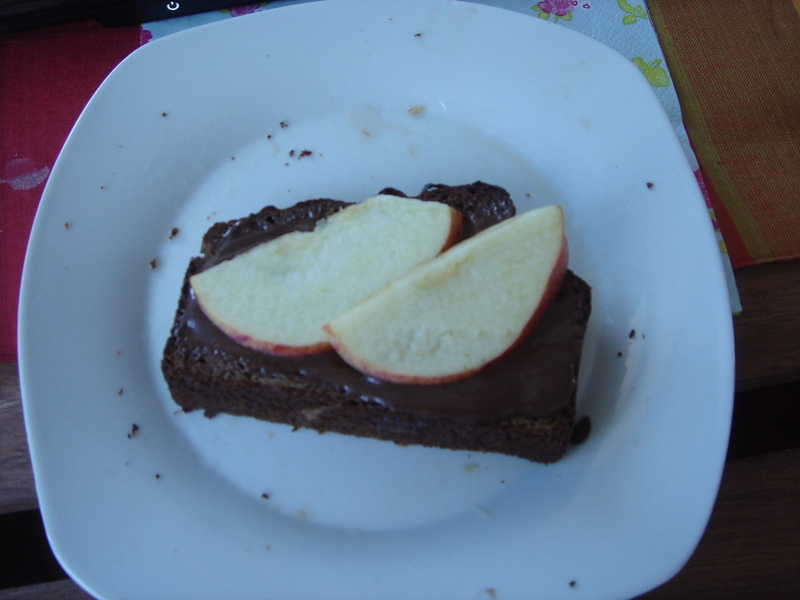 I’ve had my almond bread toasted and spread with Dark Chocolate Dreams and sliced apple. 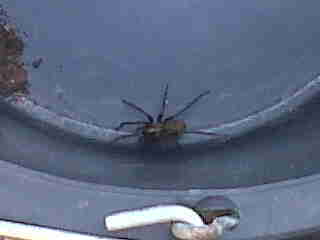 Rob was clearing out the shed at his mum’s and look at the size of this monster! Eurgh!!! We were out last night and had dinner at Prezzo for a friend’s birthday. I had the chicken and spinach salad which was really nice. It was a late night though and we’d had a few drinks which we don’t normally, so felt a bit fuzzy round the edges this morning! 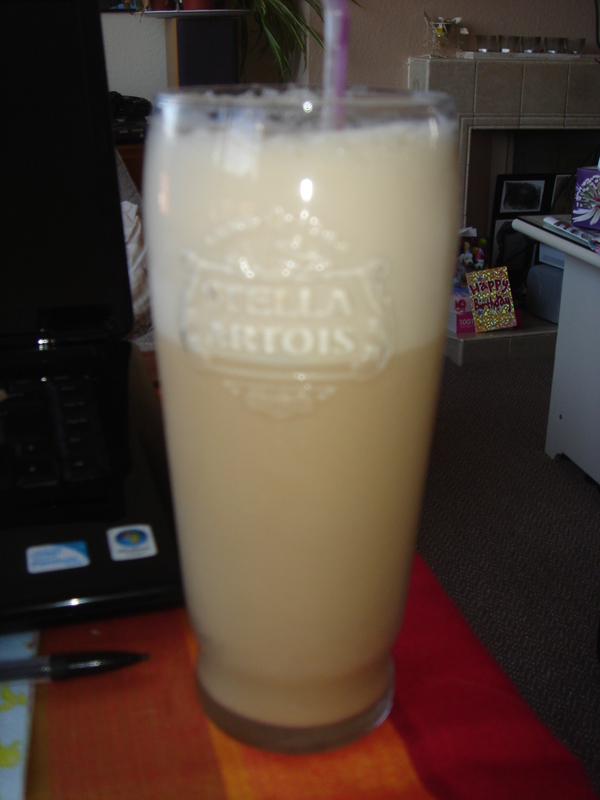 But nothing this iced coffee with soya milk couldn’t sort out. This afternoon the weather was glorious. We met my Nan and Grandad at the crematorium and we dug over my Mum’s grave and we planted some violas and cleaned it all up. It looked really nice when we’d finished. We then went to the harbour and had some lunch at the Harvester there. We were lucky enough to get a table outside, it was soooo busy!! It was beautiful though, sitting out there and watching all the boats coming in and out. I had a quarter chicken with some salad and a jacket potato. Several visits to the salad bar! We’ve had such a lovely weekend, we’ve seen friends and family and had beautiful weather. My Dad is also down from Newcastle visiting for a few days from tomorrow. Hope you’ve all had a lovely weekend, I’m off now to prepare for the week ahead. Looks like you’ve been a busy bee! At least you now know the cause of your problems, and as you say you know how to handle them to. Hope you have a great week!